Contrary to what you might think, 60% to 75% of sports- related brain injuries to high school football players occur in practice, not in games. In the NFL, that number is 3%. In light of these troubling statistics, the Florida High School Athletic Association (“FHSAA”) has promulgated new practice limitations. Taking effect on August 1, 2016 aimed at reducing the risk of concussions. The new mandatory guidelines will limit the amount of time high school football players can spend in live contact during practice. Before the start of the regular season, live contact can’t go over 40 minutes per practice and only on two straight days. Once the season starts the time allowed goes down to 30 minutes per practice, 80 minutes total in any particular week, and no more than 3 days during that week. According to the FHSAA’s Kyle Niblett, similar limits in Wisconsin reduced the number of concussions there by half. The new rule is one more step in the ongoing effort to reduce the risk of sports-related brain injury. 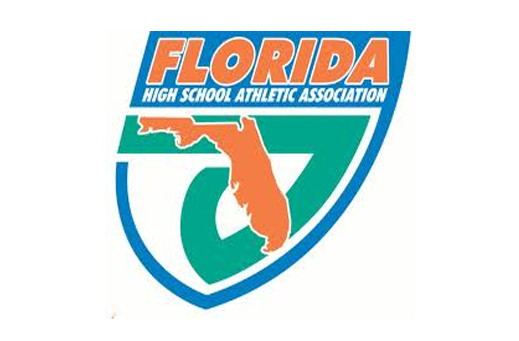 “The game of football will always come with some inherent risk, but we will never stop working to try and make one of the greatest team sports on earth safer,” FHSAA Football Administrator Frank Beasley said. Convert youth leagues to flag football. No contact football earlier than 9th grade. No full-contact practice in spring/summer/off-season, 3 hours full-contact including scrimmage(s) in pre-season, 30 minutes per week in-season. Players must self-diagnose and report concussion symptoms because: The Second Impact Can Kill You. Full-time athletic trainer or comparable medical professional on every team. EMS on site at every game. Scientific study of catastrophic injury and brain tissue bank maintained at a national research center. The attorneys at Heintz & Becker support these efforts to increase the safety of our high school football players. We invite you to seek the advice of our experienced team of injury attorneys if you or someone you love for has suffered a sports-related brain injury or other serious physical injury. Most importantly, we urge everyone involved to play by the rules, make safety their number one priority and report rule violations to the appropriate authorities. If you suspect someone may have suffered a concussion, take action and seek immediate medical attention from a concussion specialist. By now, the entire world is aware of the mass shooting that took place in the early hours Sunday morning. Omar Saddiqui Mateen entered Pulse, a nightclub in Orlando, Florida and opened fire on hundreds of innocent and unsuspecting patrons around 2 A.M. Allegedly equipped with an AR-15 and a handgun, Mateen was able to take the lives of 49 people and leave over 50 wounded. Before he was killed in a fire fight with SWAT, Mateen in a call to 911 reportedly pledged his allegiance to the Islamic State. Despite being born a U.S. citizen, it has also been reported that Mateen had been on the FBI radar. 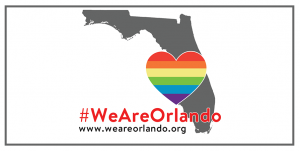 Subsequently, the response from citizens and community groups has been overwhelming and #WeAreOrlando is drawing considerable attention to this tragedy. This is the largest mass shooting in United States history excluding any military events. Many people have questions and concerns they want addressed by law enforcement as well as government officials. The internet has exploded with varying opinions on where we should stand with respect to gun control and immigration laws. However, in the immediate wake of such a tragic event, we should instead choose this time to refrain from arguing behind a keyboard and do what we can to help those affected. It is truly a time for the nation as a whole to come together and help those in need. The outpouring of people eager to donate blood Sunday morning was a perfect example of how we can respond to tragic events. In Manatee County the blood banks are only accepting donation appointments as the response has been so great. The BloodMobile will be at Riverwalk today, however there may no longer be appointments available. You can go to oneblood.org and schedule an appointment at a location near you. The attorneys and staff at Heintz & Becker will be donating blood throughout the day on Friday June 17 at a local BloodMobile event in a show of solidarity with #WeAreOrlando. Those not able to donate blood can help by making a donation to the GoFundMe page setup by Equality Florida. You can also support other groups known to be helping the victims and families. Please donate what you can; every dollar helps. Show your compassion and empathy to those affected by being an emotional support for them. So rather than being divisive, we want to stress the significance of standing together to help your fellow citizens. Gun control, immigration laws, and sexual orientation should be irrelevant when there are people in need of help. Donate what you can, give blood, or just be there for your fellow man. Today we all have a chance to be the difference in the world. As part of a mission trip organized by the non-profit organization Waves of Love, Sarasota-based Specialized Plumbing Technologies (formerly Sleuth Plumbing Technologies) recently assembled a group of volunteers that spent four weeks in a small Nicaraguan village to help build five brick homes from the ground up, an outdoor kitchen, two outhouses and install a water filtration system providing clean water for the village residents. One of the volunteers was our very own, Tanner Heintz, son of Steve Heintz. It’s great to see local organizations working to make positive changes in both our local community and around the world. The attorneys at Heintz & Becker are happy to be able to use their website and Facebook page to share this story with its readers. We hope it will inspire others to join in and help make a difference for people in need.